DOGGIE'S DOING A COMEDY TURN! : MIRROR MIRROR ON THE WALL, I'VE GOT THE HEAVIEST LEAD OF THEM ALL! MIRROR MIRROR ON THE WALL, I'VE GOT THE HEAVIEST LEAD OF THEM ALL! So when Mama J was walking me last month she found that my hard leather lead grated somewhat on her delicate little hands. I do have to confess my part in this crime against skin care as my jumping around on seeing other pooches in the village proved that Yorkshire Terrier dogs can jump and rubbed Mama J’s hands up firmly the wrong way! Ouch! Having tried a fully qualified Dog Trainer for my bouncing/barking condition the only other option for Mama J to take was… To get a nylon lead with a padded handle. The search far and wide, well okay on Amazon and eBay began and Mama J found a lovely red tartan one that would match my winter coat beautifully. She ordered the 105 cm x 19 mm. When it arrived either Mama J had got the measurements wrong or the seller had. This lead was clearly designed for a dog five times my size and when Granny clipped it on my neck to show Mama J that indeed it wouldn’t be all right on me (Mama J is ever the optimist), it felt like I’d being signed up for the Rio Olympics (Team GB of course) weight lifting squad. I should design a weight lifting YouTube video for dogs wanting to start a fitness regime, I’m sure it would go viral in minutes. Also as I’m already training Mama J walking wise so this could take my personal training plans to the next level. Anyway the lead has been placed firmly in the cupboard along with my extendable one that Mama J refuses to use as she has been scarred by horrific memories of getting wrapped around a tree by a dog named Sandy. Another slimmer lead with a smaller less weighty hook on it has been ordered and has just arrived in the post this morning. Happy days walking with Mama J can continue from now onwards and her hands are now safe from vigorous rubbing. Granny caused Mama J to have a diva turn the other day when she was cleaning Mama J’s ensuite and managed to woman-handle Mama J’s magnifying mirror off the wall, pulling all the inner workings of it off too. Granny and Grandpa then managed to lose one of the springs to the mirror down the toilets fall pipe, or so they thought. Then to add insult to comedy injury Grandpa managed to lose a screw from his glasses (Jack Duckworth gaffer tape at the ready) while running up and downstairs for tools to try and fix the mirror back onto the wall, however failing miserably minus the missing spring. However the next day Mama J was in her bathroom about to place something in her bin when she spotted something on the side of the bin liner. Mama J feared it was a curled up spider and shouted for Granny as she felt the fear and didn’t wish to go there anyway. However on closer fearful may I add inspection Mama J realised it was the spring from her mirror. Granny came running into rescue Mama J who was now clutching the spring all positive that Grandpa would now be able to fix her mirror the next day when he was off work. Having found the spring Mama J was in a “keep calm and carry on” mood as she attempted to put her make-up on in a normal mirror, you know the way ladies all across the land have done for decades. However on getting onto her eyeshadow and liner she was claiming she couldn’t see what she was doing. She should’ve gone to Specsavers! Mama J had to then perch herself on her ever so springy toilet seat which is more like an ejector seat to complete her eye makeup with her magnifying mirror placed strategically in her sink. The next day we had the same problem and Mama J wasn’t so calm this time in fact she was in full on Mariah Carey/Naomi Campbell diva mode. She started ranting and exclaimed, “I can’t work like this!” Oh ah Missus! 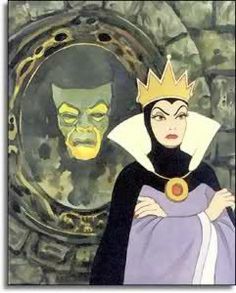 Grandpa was firmly instructed to try in vain if he had to, to get Mama J’s magnifying mirror up for her otherwise her eye makeup would never look the same again (well until her replacement mirror arrived from Germany today). Grandpa who thanks to Granny finding what she thought was a silver fish but was actually a glasses screw at the top of the stairs managed to work a magic trick that Dynamo would’ve been proud of and got Mama J’s mirror back on the wall. Normal service has been resumed for the worlds next if you are old school The Clothes Show’s Barbara Daly or if you are more modern Bobbi Brown of the makeup application trade!